Let me level with you. There’s an official tie-in between this watch and the oh-so-English Goodwood Festival of Speed, one of the world’s leading events for motor enthusiasts. 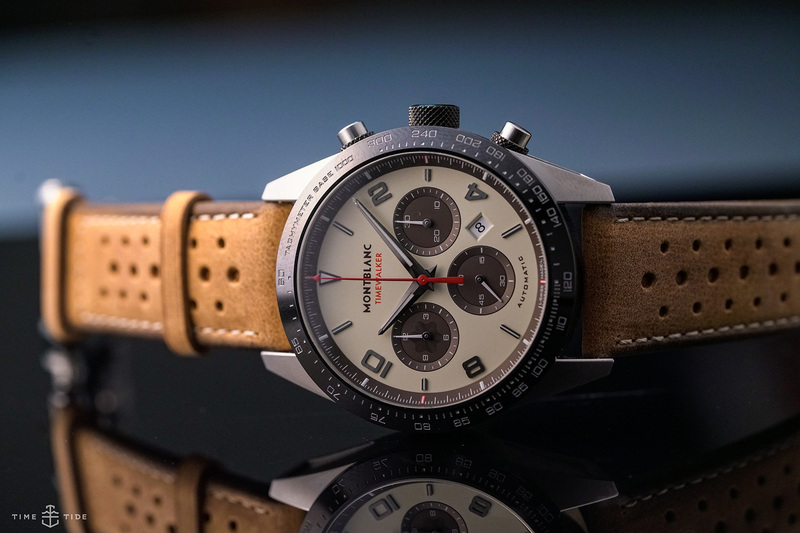 I could spend the next few hundred words talking about the synergy between the automotive and the horological (don’t get me wrong, there are real and entirely meaningful links), but for someone who hasn’t been to Goodwood and isn’t a “car guy” per se (I leave that to Andy), the backstory is kind of beside the point. The point being that this is an absolutely awesome-looking watch. First unveiled last year, the TimeWalker Manufacture Chronograph was already a pretty big step up for Montblanc’s core sports collection, as it graduated to the big boy leagues with a solid in-house column wheel chrono. The first generation, with its panda face, was a pretty good-looking offering, but this vintage-tuned model is even better. The base dial is a rich creamy colour, which looks like it was inspired by faded tropical dials or the rich, ivory paper stock (both work for a Montblanc watch). The subdials are a contrasting deep brown, while the rally-style strap is a glorious golden tan. It’s not all old school, though. The bezel is still black ceramic, and that TimeWalker case still has a pretty modern cut to its jib. 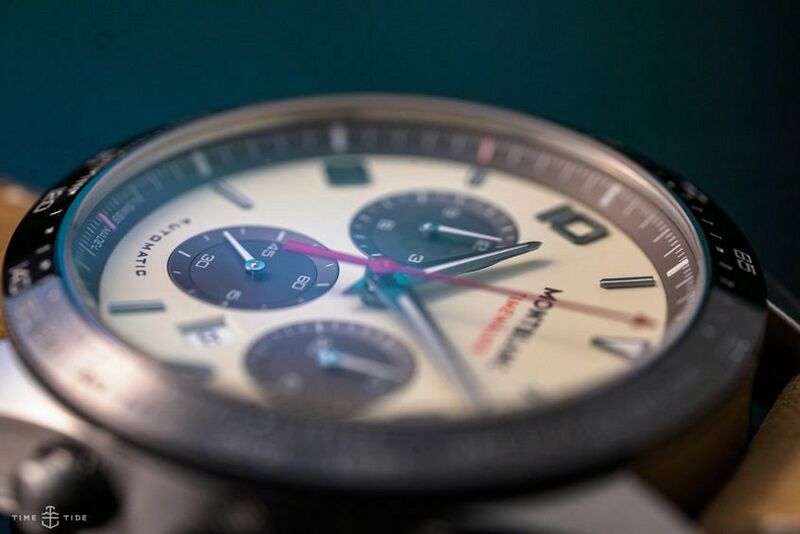 The red details add some pop, and while I don’t mind the date window per se, going to the effort of colour matching it to the off-white dial would have been the cherry on the cake. The moral of this story? 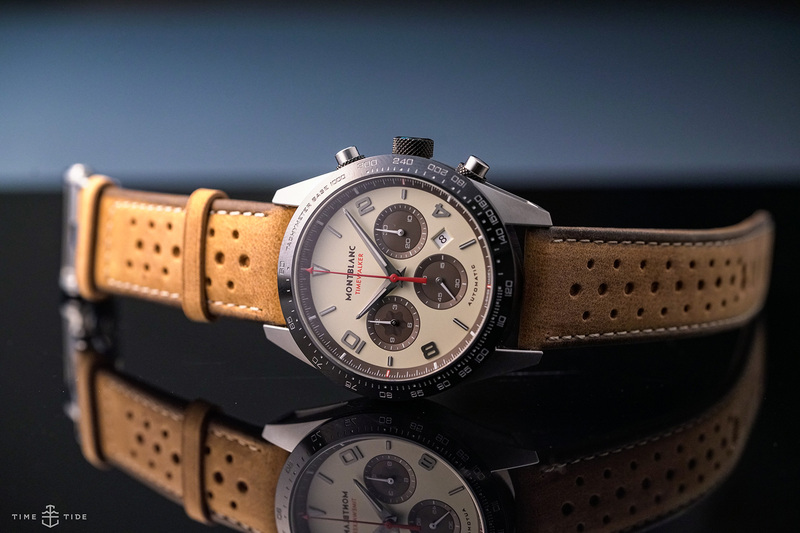 You don’t have to be a Goodwood diehard, or even particularly into the world of motorsports, to get behind this winner of a watch.